This vanilla mocha iced coffee is everything! Admittedly, it’s a pretty neat “sippable” treat. Seriously, when there is chocolate, vanilla, and coffee involved, what’s not to love? 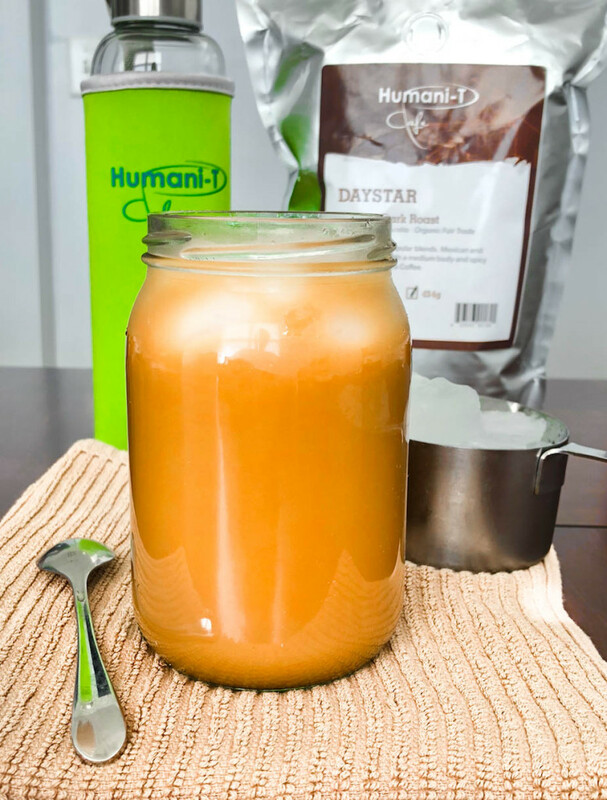 Brew a cup of Humani-T coffee ahead of time, and allow cooling off. Next, to a large mug, or jar all remaining ingredients (minus the ice), stir, and then add ice and enjoy. Alternatively you may add cooled coffee, and remaining ingredients (minus the ice again) to a blender, and blend on low to mix ingredients, then pour coffee into a large mug or jar, add ice, and sip.